We welcome the opportunity to care for the youngest members of your family. In fact, we love kids at Montevallo Family Dentistry. You’ll find that we create a comfortable and fun atmosphere for children so that they can gain a positive association with going to the dentist at an early age. We believe this fosters healthier smiles in teens and adults! Dr. Shunnarah is an exceptional pediatric dentist who understands how to build a trusted relationship with young patients. We never use threatening language, and we go above and beyond to reduce their anxiety at every step. During their visit, kids can watch a family-friendly movie on one of our flat screen TVs or bring along their favorite stuffed animal for extra security. We want them to experience dental care in the most comfortable and rewarding way. A major part of our pediatric dental services is educating your child on the factors that contribute to a healthy smile. 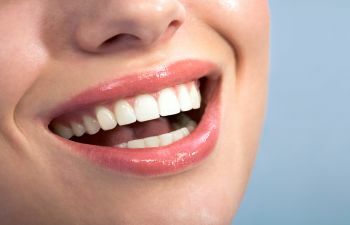 Using non-intimidating language, we discuss brushing and flossing habits, proper nutrition and other oral health tips. During their visit, Dr. Shunnarah and one of our hygienists will perform a gentle cleaning and exam of your child’s teeth and gums and take digital x-rays when necessary. If a dental concern is detected, you can trust that we are equipped to handle it. Our office provides a full menu of general and restorative dental services for kids, including sealants, fluoride treatments and composite fillings. To schedule your child’s dental appointment at Montevallo Family Dentistry, please contact us today. For your convenience, we offer flexible scheduling options and we accept most dental insurance carriers. Caring for growing smiles is a job we take pride in!